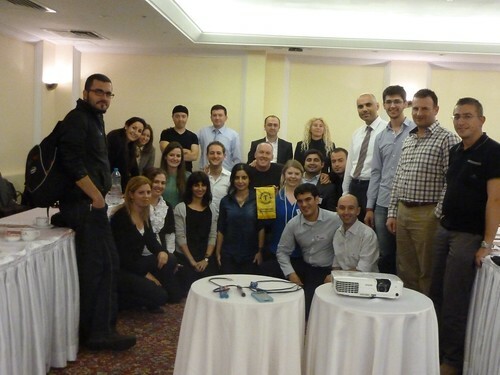 I attended a meeting of the Istanbul Toastmasters Wednesday and practiced speaking to a group of people about the trip. I’ve got those meetings coming up at Tarsus American College in December, and I wanted to get some practice in. It’s been three years since I’ve been to an Istanbul Toastmasters meeting, and I only knew one of the 25 people in the room from the old days, but I felt right at home. I don’t know what it is about that club, but it attracts some of the greatest and most fascinating people around. Every time I’ve gone to one of that club’s meetings I’ve gone home that night thinking, "I am so lucky to have people like this in my life."